The weather is heating up and it is this time of year that we start to see pets struggle. The technical name of heat stress is hyperthermia. There are a couple of reasons that this can occur. Unfortunately many pets will get left or trapped in a hot environment. This can be accidental or overlooked and include the all too common dog left in car scenario (even for a couple of minutes), locked in a house, shed or even out in a yard with little access to shade. 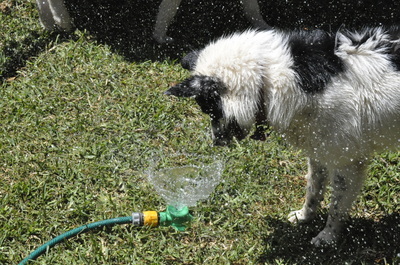 Dogs and cats do not sweat like we do. To cool themselves down, they pant. Some dogs and cats with the shorter snub noses (brachycephalic) such as boxers, bulldogs, pugs and Persians are at more risk of hyperthermia than longer nosed pets. Other things that may contribute to heat stress are things such as heart or lung disease and obesity. 1. 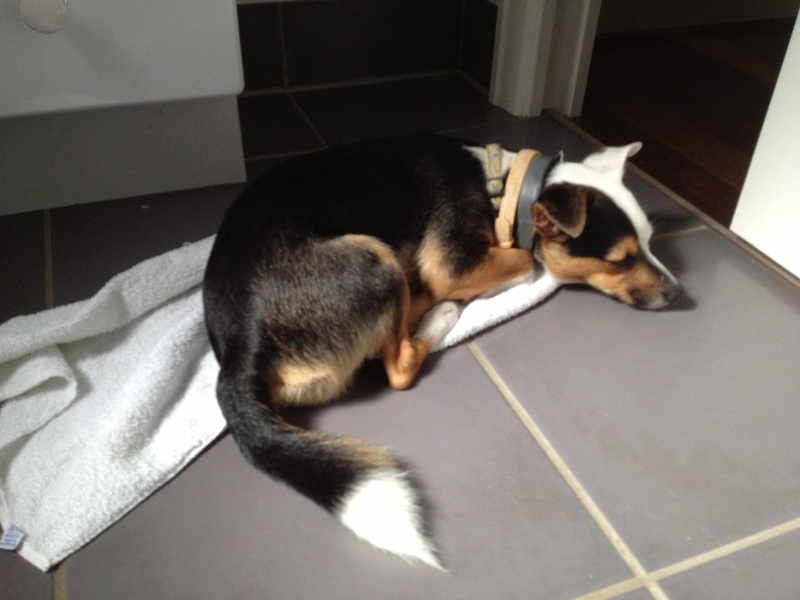 Bring the dog inside, and away from the heat source (for example car). Keep exercise to a sensible level and only in the coolest parts of the day – yes that means early morning or late evening walks and games. If you have a dog that will run and run and run, especially with lawn mowers, kids on bikes or around and around the swimming pool bring them inside before they begin. Some dogs will run until they collapse. Don’t forget your dog doesn’t wear shoes, and walking on concrete or bitumen may be uncomfortable, painful and result in blisters. Ensure your dog/cat/birds/guinea pigs have access to plenty of shade and cool surfaces to lie on or rest against. Ensure your pet has access to plenty of cool water. 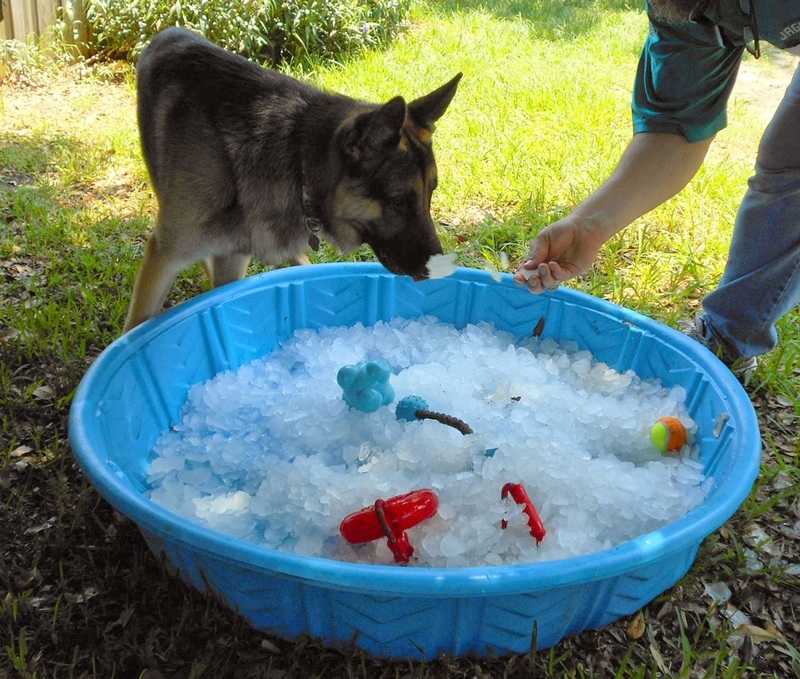 Use large non-spill bowls or clam shell pools. Have multiple sources in case one is emptied or in the sun. Frozen treats are popular all year round but especially during the hotter months. Supervised access to your swimming pool – many dogs love to swim. However it is important that you teach your dog how to exit the pool should they accidentally fall in. A device designed for this is a Scamper Ramp. 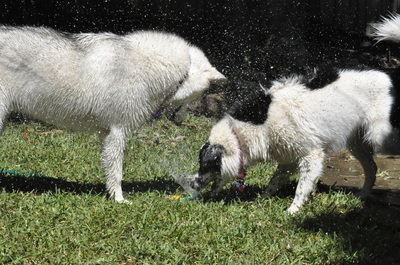 You can find more information on these at https://www.worldforpets.com.au/products/15917.